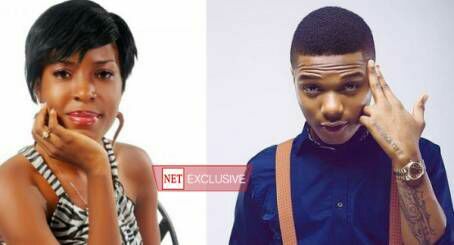 Linda Ikeji drags Wizkid to Lagos Police Commissioner - BlogIT with OLIVIA!!! According to Nigerian Entertainment Today, a source with details told them a summon has been issued to Wizkid, with an invitation letter sent to the Surulere office of his manager,Sunday Are. ‘He was instructed to show up today but he did not’, a source told them. Also his manager, Sunday Are didn’t pick nor respond to their messages. This is as a result of the various insults Wizkid melted to Linda Ikeji. Or should I say it's because of the last banter between them where Wizkid said Linda slept with his director. The duo don't get along well and they have been coming after each other on social media. Guesses are that Linda took the case to clear the issue of having slept with Wizkid's director. Wizkid started lashing at her for blogging about his second baby mama and his Landlord serving him a quit notice. NetNg noted that Linda hasn't replied either just like Wizkid's Manager. This one na long thing oooooo.... Seriously, this whole drama isn't worth it..